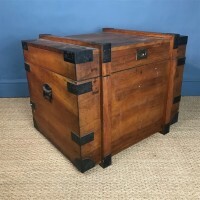 A large early Victorian rosewood ottoman circa 1850 stripped back for recovering with brass lock and hinges standing on inset lignum vitae castors. 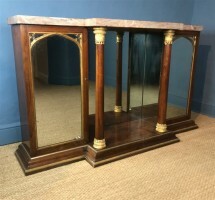 A George IV rosewood and parcel gilt side cabinet circa 1825 in the Gothic style with mirrored back and doors with the original Devon marble breakfront top. 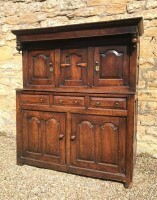 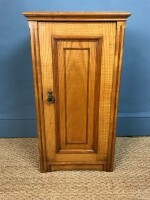 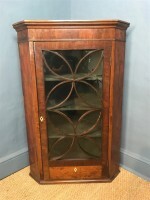 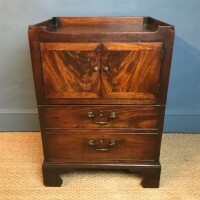 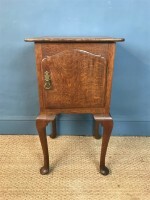 A George 111 yew wood corner cabinet circa 1780 in lovely original condition the glazed astragals with the original hand blown glass and a dummy escutcheon at the bottom of the door. 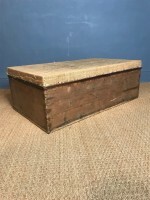 A Chinese Export Camphorwood Travelling Box circa 1880 by Yut Wo Kwang Tung Canton China with brass banding in excellent solid original condition . 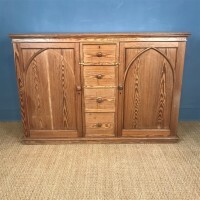 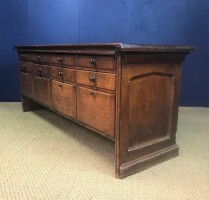 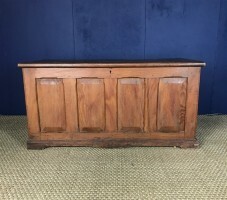 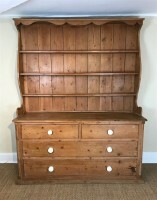 A Scottish Oak Country House Estate Cabinet circa 1850 with two banks of seven drawers flanking two central cupboard doors in plinth base . 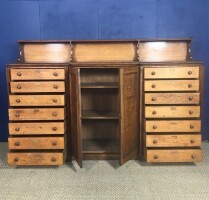 The drawers bearing old labels inscribed David Nisbet in copperplate ink script. 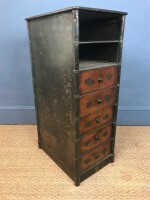 A mid 19th century iron and mahogany side cabinet c 1850 with the original painted decoration.